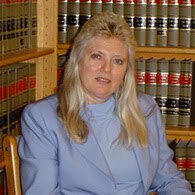 Ms. Haas can assist clients in finding all available insurance coverage, and the latest insurance law and techniques of persuasion when dealing with insurance misconduct. Insurance bad faith is when an insurance company fails to investigate a claim in a reasonable manner, unreasonably denies or delays payment of valid claims, fails to defend an insured from a lawsuit, undervalues or underpays a claim, unfairly refuses to settle, or has an unreasonable claims process. Insured Denied Disability -- A police detective purchased a disability insurance policy which provided benefits if he became totally disabled in his occupation. He was later injured in the line of duty, receiving a concussion to the head, knee injury, and back and lower lumbar injury. Four years later he was still being treated for the knee injury and for vertigo or dizziness, and unable to continue working as a police detective. The insurer paid benefits for twenty-four months, then stopped paying. The detective filed suit and a jury heard the case. In closing argument, the insurer argued the detective could earn at least as much as he was making as a police officer, and possibly more, as a real estate agent. The jury found for the detective. The insurer appealed, arguing the evidence was insufficient. The appellate court ruled there was sufficient evidence for the jury to find the detective totally disabled under the policy's definition, and that the twenty-four months of payments amounted to an acquiesence to his disability. The insurance company paid. Subrogation -- Excess liability carrier sought reimbursement from primary liability carrier, won $651,569 final summary judgment. On appeal, affirmed in part, reversed in part.